﻿﻿﻿﻿﻿﻿﻿﻿﻿﻿﻿﻿﻿Many adults and parents think that poor communication during the teenage years is an unavoidable consequence of kids growing up. This doesn't have to be true. There is a lot YOU can do to improve the quality of communication between you and your teenager. 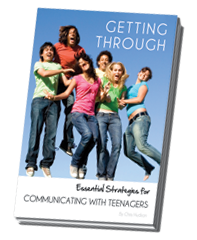 This book contains over 50 pages of practical communication strategies and advice guaranteed to improve your relationships with teenagers. All it costs you is the time to read the book and the energy to put what you read into practice. Copyright - Understanding Teenagers, 2017.